Just How Much Is ‘Free’ Shipping? Yesterday I talked about buying something online from WalMart and picking it up at our local store, using their ‘Pickup Tower’. What we ordered was a couple of 18 fl.oz. bottles of ACT Cinnamon Mouthwash that Jan likes and can’t seem to find locally. Or, at least that flavor. And when I looked on Amazon, I found two bottles for $15.79 with ‘FREE’ Prime Shipping. But when I looked online at WalMart I found the same two bottles for $7.71. With free shipping and pickup at our local store. And even better, I get to play with the Pickup Tower. So I’ll start looking for stuff more on WalMart now, before I order from Amazon. 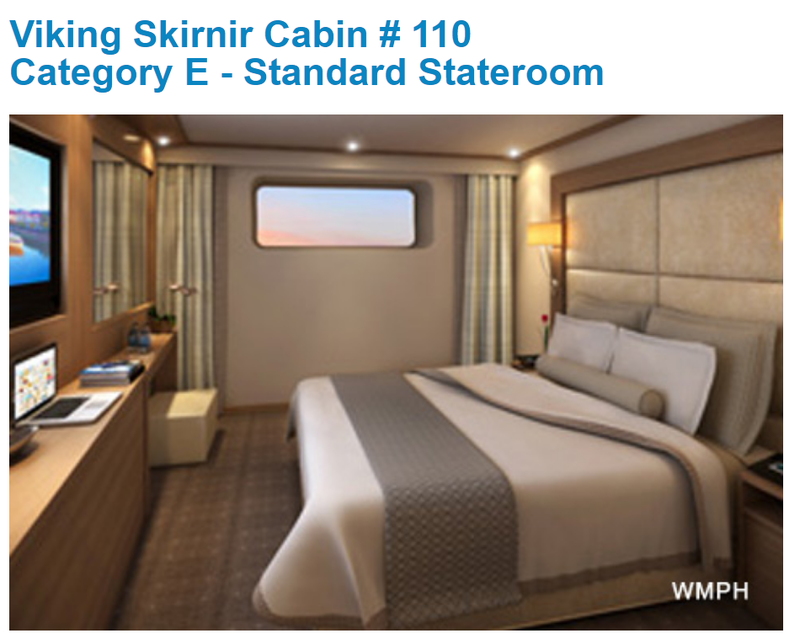 The other day I showed you what our actual room, #110, looks like on the Viking Longship Skirnir. 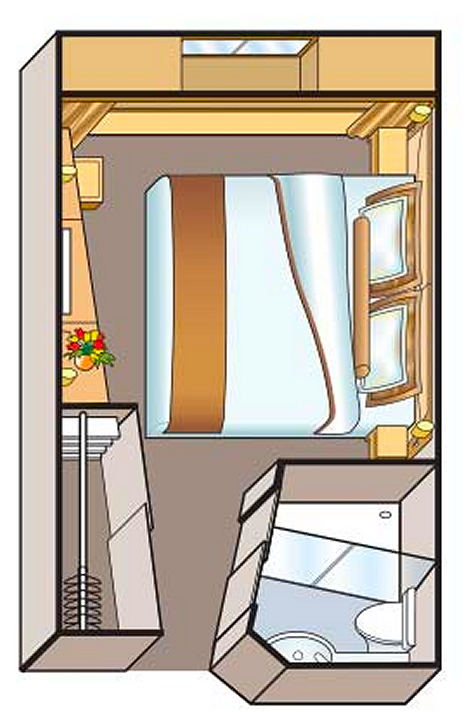 But this room diagram will give you a better idea of the actual layout of our 150 sq.ft. room. Pretty much like a regular hotel room, but with a better view, and much better food. 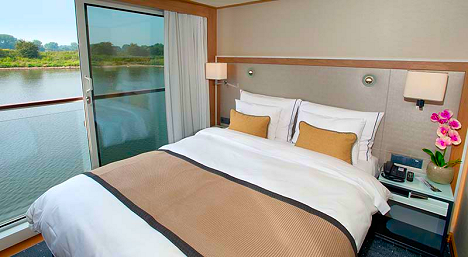 Speaking of the view, besides the two Explorer suites on our ship that go for $10 – $15,000/person, there are two other room choices – the French Balcony ones, and the Veranda models. Apparently, the French don’t really have balcony’s I guess, because these rooms don’t have a balcony either. They just have a sliding glass door that opens onto a railing, so all you can really do is stick your head out and look to the bow and stern of the ship. And for this great ‘perk’, you get to pay an extra $3000/couple. And, even better, at 135 sq.ft., your extra $3000/couple, gets you a room that’s 15 sq.ft. smaller than ours. Now, if you want to pay an extra $4200/couple for a Veranda room, you get an actual balcony big enough to hold two chairs. But at least for your $4000+, at 205 sq.ft., you do get a slightly bigger room than ours. But you pay about an extra $75 per sq.ft. for that privilege. 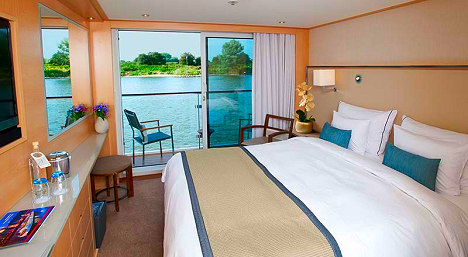 In addition, I find it interesting, and reassuring also, is that the online reviews have travelers saying that they wouldn’t pay for these room upgrades next time, since they either spent their time on deck, on excursions, or asleep in the room. Or even better, they were staring at a close-up view of the side of the dock where they were moored. Last night Jan and I watched the premier episode of Whiskey Cavalier, ABC’s new spy action, comedy series. And it was really good. A lot of action, a good story line, and great chemistry between the stars, a male FBI agent, codename ‘Whiskey Cavalier’, and a female CIA agent, codename ‘Fiery Tribune’. Along with 3 other team members, they’re forced to work together, while spitting and sparring with each other along the way. Kind of reminds me of Moonlighting, I guess. They could use a better advisor concerning some of the tradecraft, but you can’t have everything. Tomorrow we’re making the trip up to Trinity, TX to visit our long-time friends, Janice and Dave Evans, and see their new home since they came off the road. Also joining us will be the other third of the Conroe Bunch, Debi and Ed Hurlburt of RV Tips fame.